The European Congress of Clinical Microbiology and Infectious Diseases opens at Excel this weekend, an event expected to attract 10,000 delegates and inject £20m into London's economy. According to Excel, the expected attendance number is the largest ever for the European Society of Clinical Microbiology and Infectious Diseases (ESCMID) event, which has been organised by Congrex Switzerland. James Rees, Excel London's director of conferences and events, said: "We are extremely proud to welcome both ESCMID and Congrex to London in our landmark Olympic year. 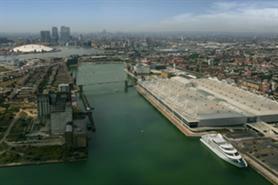 "Excel London’s International Convention Centre was built to host events of this size and stature and we look forward to hosting what should prove to be a record-breaking congress." The congress takes place 31 March until 2 April. Sponsors include Pfizer AstraZeneca, Novartis, MSD, Siemens and GSK.